Teckentrup side hinged garage doors are available in a selection of finishes including Woodgrain, Smooth, Stucco, Micro-profile, and Smooth Wood Effect. 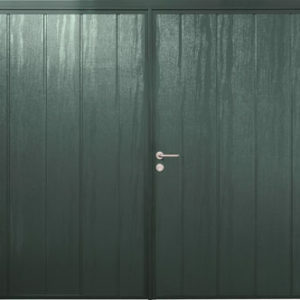 Available in virtually any RAL colour, you can match your garage door to your unique style. Solid 40mm thick panels provide superior strength and resistance to corrosion. 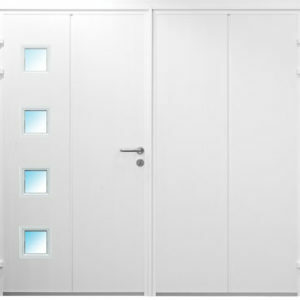 Customise your side hinged doors by choosing from half and half and asymmetrical leaf configuration to suit your needs. 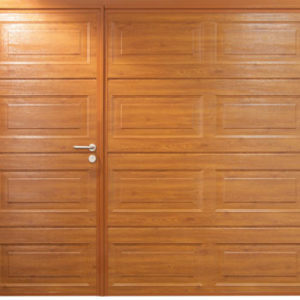 All Teckentrup doors are made to measure and fitted by our expert team.